Call it Thanksgiving in October. The early settlers of North America celebrated the final harvest of their crops with a feast. Harvest festivals around the world rejoice with merriment and song. 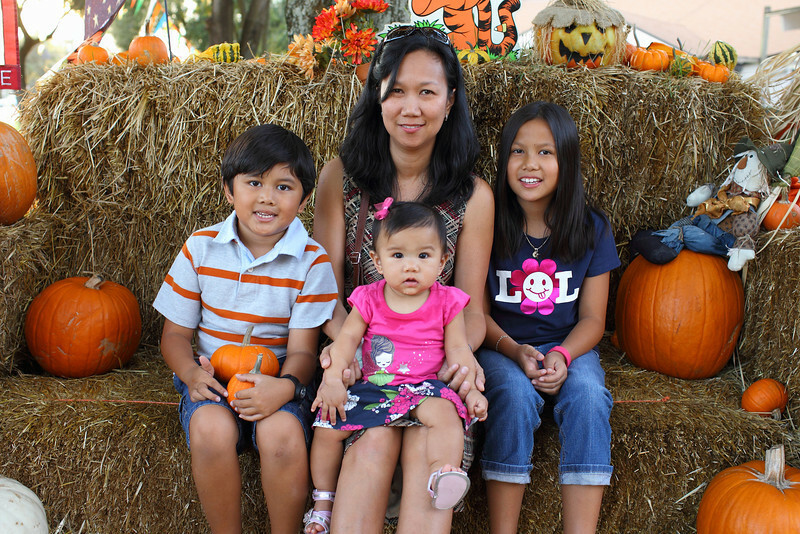 The Soriano family gives humble thanks for the ultimate gift with pumpkin patch jubilation. 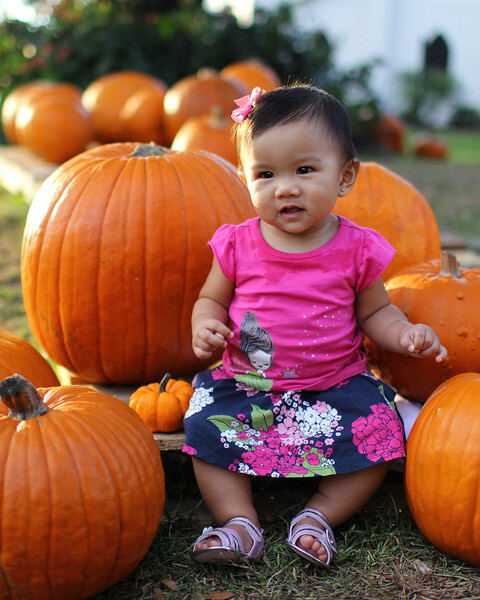 In preparation for Halloween, the family departed to the local pumpkin patch for some prime pickings of Jack O Lanterns and some adorable harvest time pics. 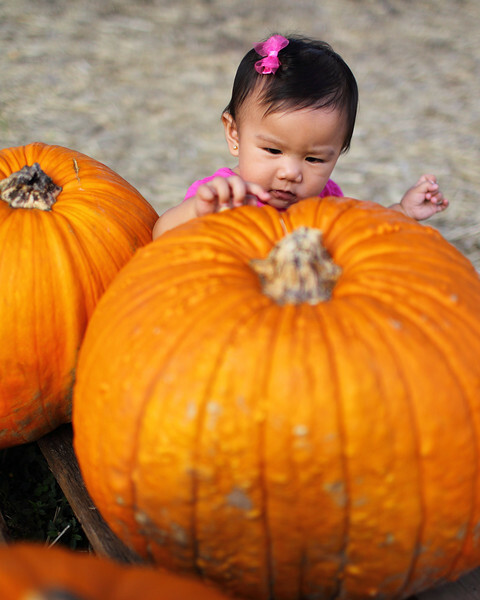 Pumpkins of every size imaginable for the choosing but that special one catches my wife's eye for the carving. 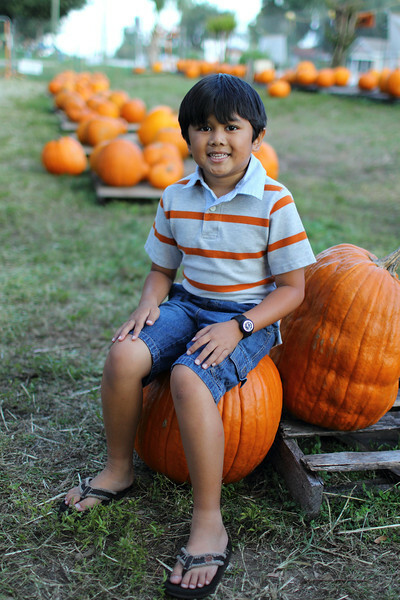 A good rule of thumb is to wait until "Golden Hour" to shoot pumpkin patch photos for fabulous results. Another good rule of thumb is to purchase pumpkins you can easily lift and carry without angina. A pumpkin you cannot budge is a good pumpkin to sit on. 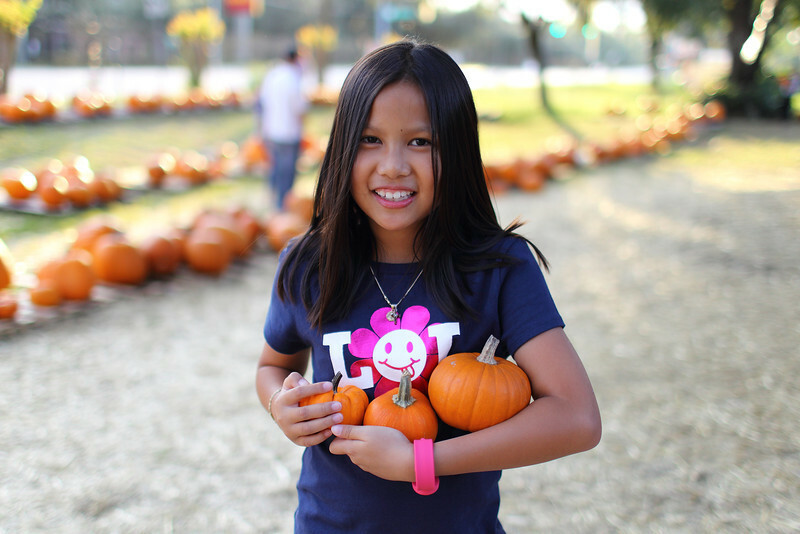 When big pumpkins are not your fancy, my daughter thinks small ones are cute. Easy to carry and very cute like her smile. We had to limit her purchase to three. 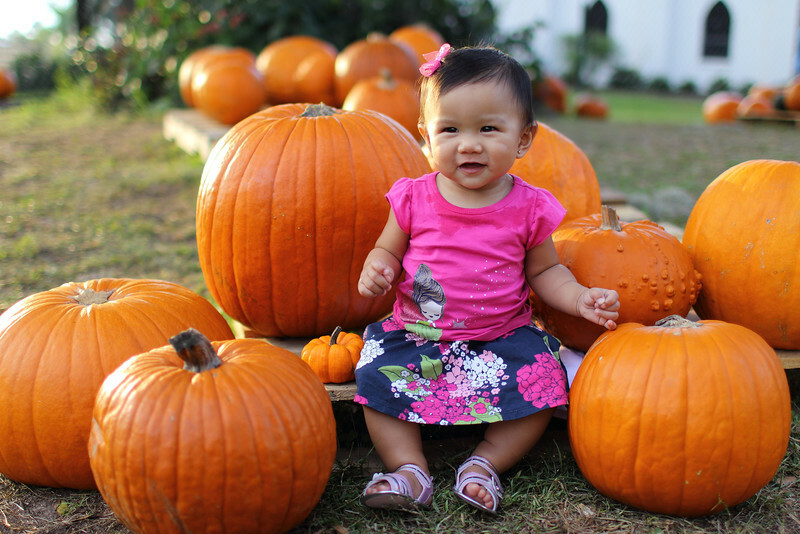 My almost 8 month old daughter Serena chose this pumpkin. After much debate and drool, she was convinced with one lick this larger than life gourd would make a good teether and a hollowed out playpen. Who does not love pumpkin pie? We submitted to temptation. The gratuitous "Harvest Festival" staged family portrait flowed through my Canon EOS 1D Mark IV paired with the EF 35mm f/1.4L prime lens. Obviously, my unsmiling baby daughter Serena did not like the location either. With every click I give thanks for the baby horn of plenty. 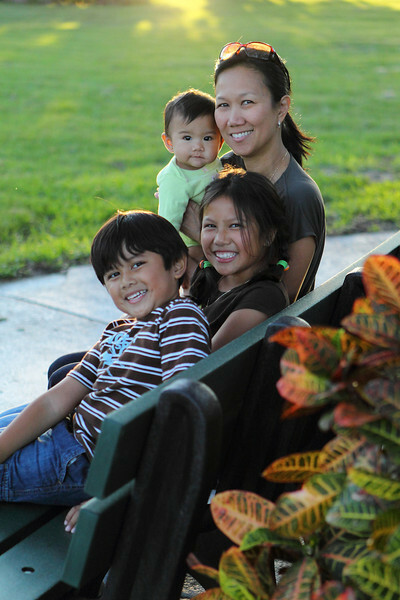 Serena with her older siblings give me abundance and nourishment. 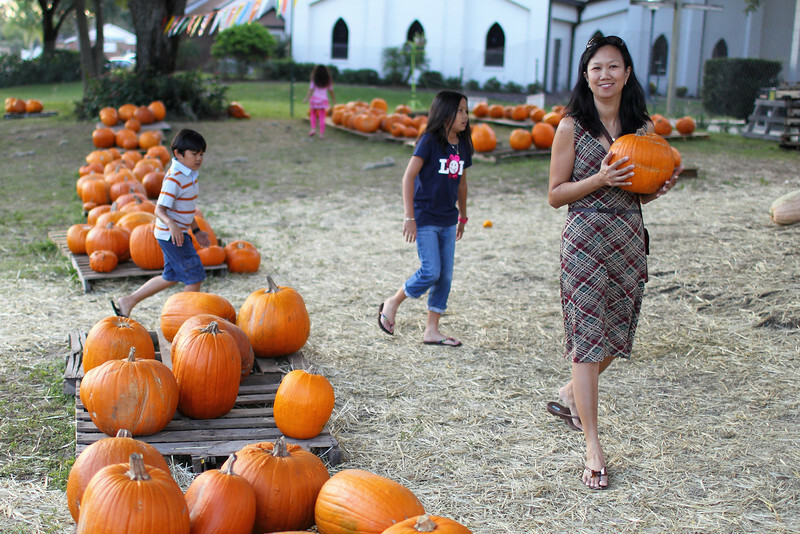 The "Cornucopia" of family makes it all worthwhile in the pumpkin patch of plenty. 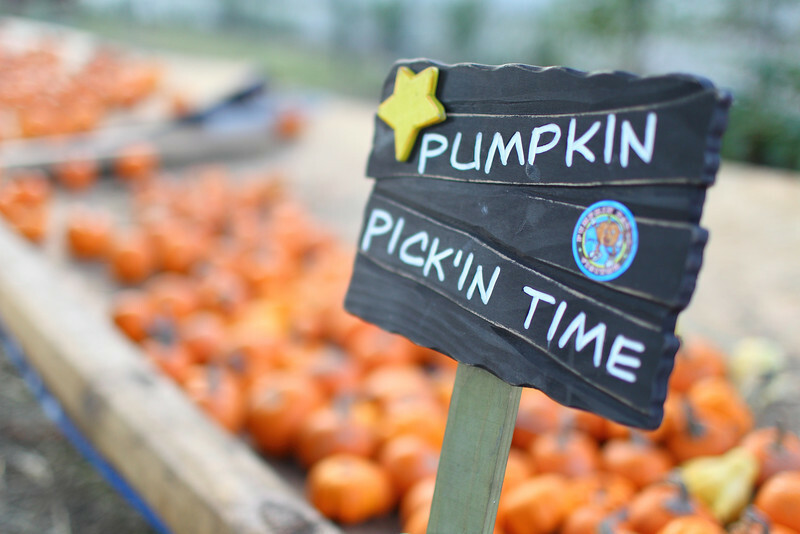 You can view more plentiful pick'ins in my A Pumpkin Patch of Plenty 2011 Gallery shot with the Canon EOS 1D Mark IV paired with the Canon EF 35mm f/1.4L lens.